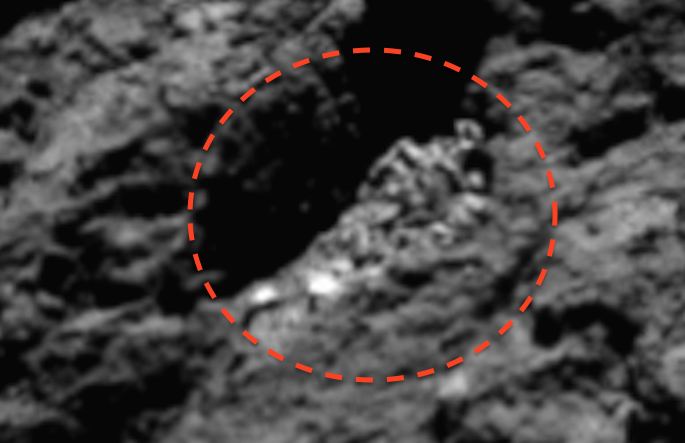 UFO SIGHTINGS DAILY: 80 Meter Tall Alien Skeleton Found On Comet 67P Found By Rosetta In ESA Photo, Sept 2015, UFO Sighting News. 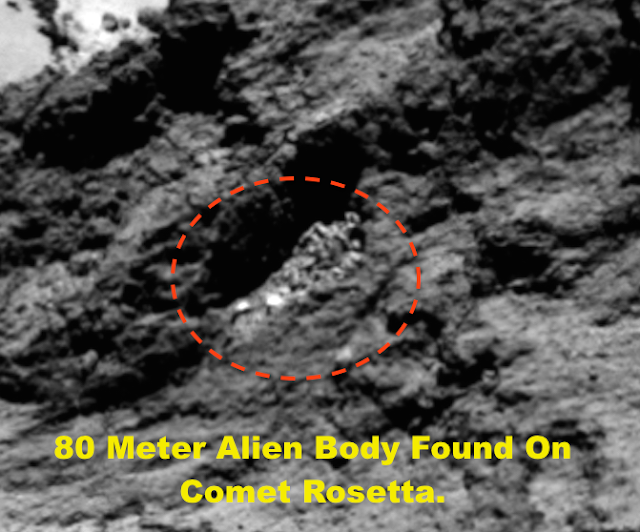 80 Meter Tall Alien Skeleton Found On Comet 67P Found By Rosetta In ESA Photo, Sept 2015, UFO Sighting News. I found an alien body...decomposed and bones are all thats left. The bones look metallic and the lower body bones are spread out. The skull of the alien is clear with the neck and the lower chest and ribs. Nothing to extraordinary I suppose, but it is 80 meters tall if it stood up on its legs. 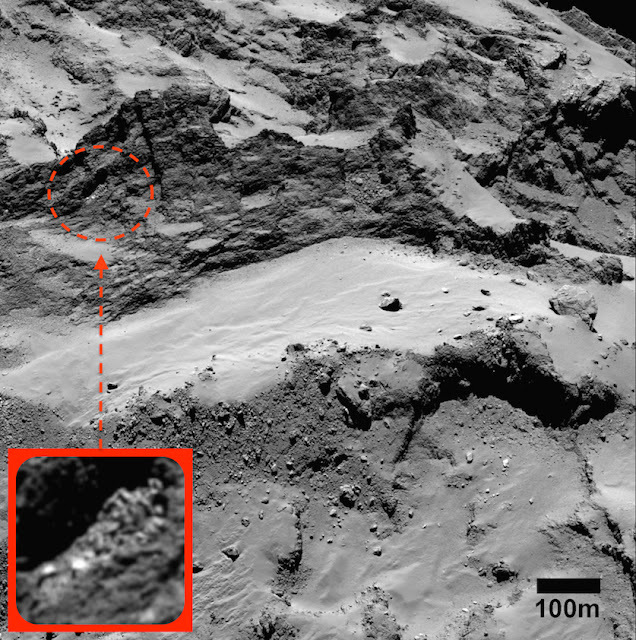 This according to the measurement ruler in the bottom right hand corner of the photo. Its head is tilted sideways so we only see one eye socket, but it looks like there are two.